In this series, the Benton Foundation and the National Digital Inclusion Alliance (NDIA) explore the origins, strategies, challenges and funding mechanisms for successful digital inclusion organizations. [Commentary] In Feb 2018, the Federal Communications Commission released its most recent Broadband Deployment Report, which bases its analysis on 2016 data delivered by all Internet providers. 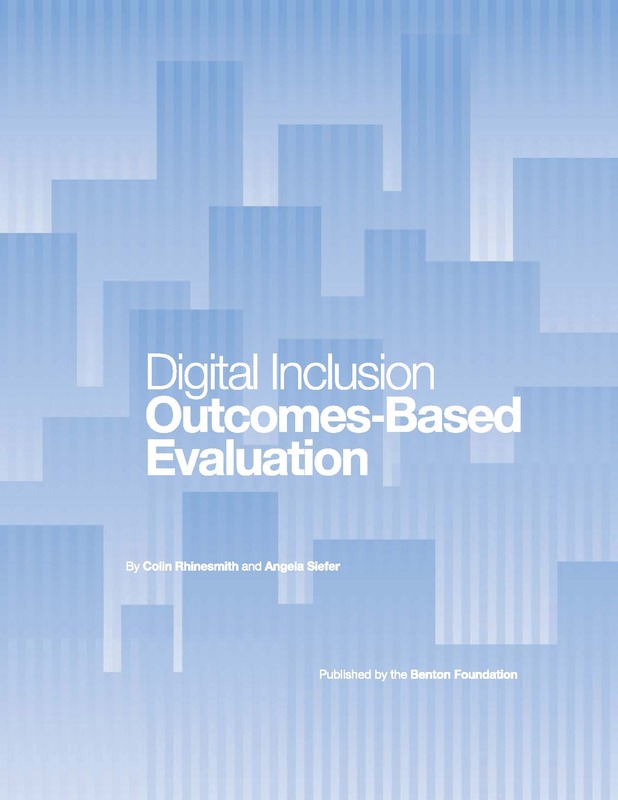 This report describes the challenges facing community-based organizations and other key stakeholders in using outcomes-based evaluation to measure the success of their digital inclusion programs and offers recommendations toward addressing these shared barriers. Like most public libraries across the United States, Multnomah County Library (MCL) has long provided access to public computers, the Internet (through Wi-Fi), and personalized training to the community it serves. [Commentary] The Internet is driving innovation in community and economic development, education, health care, and government services. But residential broadband adoption1 has stalled.